E-readers are a fantastic way to breeze through novels. It turns books into completely searchable documents that you can highlight, bookmark, and make notes on. 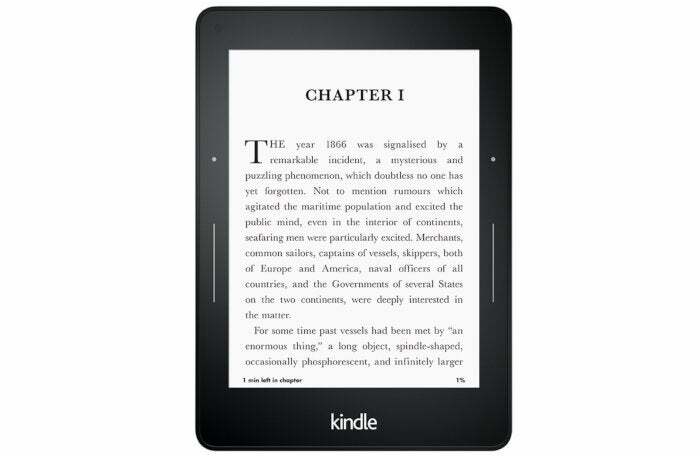 Amazon’s luxurious Kindle Voyage elevates the experience even more, and for today only, the online retailer is selling this front-lit Kindle (refurbished) for $95 instead of the $140 it usually charges for a certified refurbished unit, and well below the $200 you'll pay for a new model. We don’t cover refurbished goods that often since you never know if the devices are truly “good as new,” which is the promise. In this case, however, the device comes directly from a reputable retailer (Amazon), it’s covered by Amazon’s customer service policies, and it and comes with the same one-year warranty new devices get. Amazon has more information about its certified refurbished policies on its website. The Kindle Voyage features a 300 pixels per inch screen, which Amazon says makes it read even more like a physical printed page. It has an adaptive front light to illuminate the screen, includes Amazon’s PagePress system for easier page turns, and it’s very thin at just 0.30 of an inch. Overall the Kindle Voyage is a great e-reader, and at this price it’s even better. We last reviewed the Voyage in 2014, but to be honest it hasn’t changed that much. At the time we gave it four out of five stars with one of our major reservations being its $200 price. That is not an issue if you grab this refurbished version today.